Yahoo, it's my turn to bring to you a great resource for back to school! 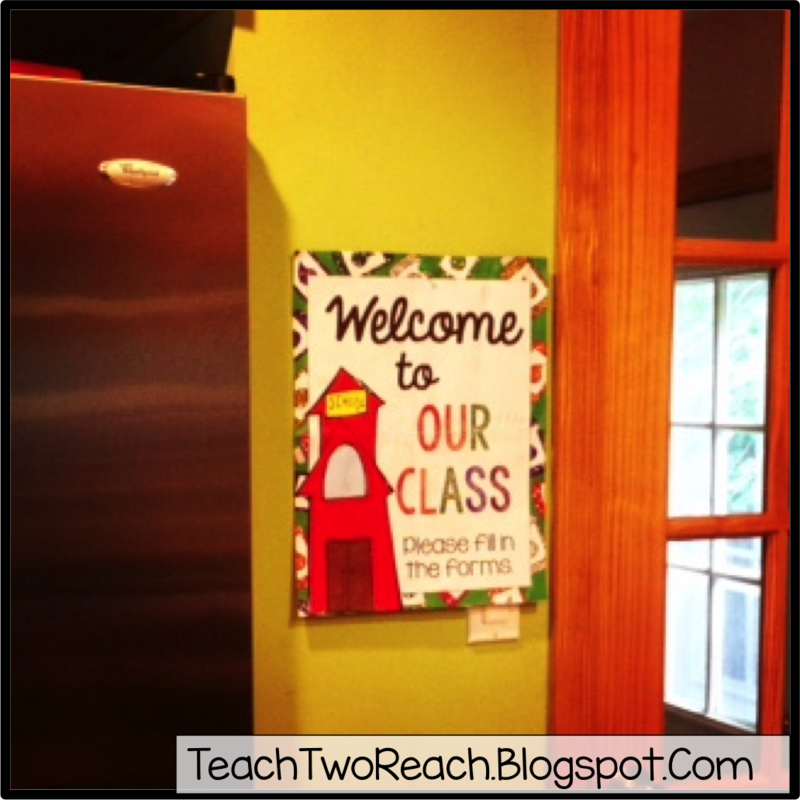 I hope you've been following our Tips and Tools for Back to School blog hop all summer. All these ladies down below have shared tips and freebies on their blog each weekend all summer long! 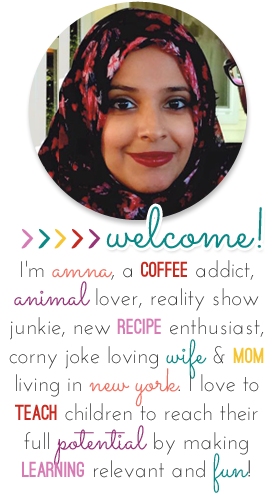 If you've missed any, make sure to visit their blogs and look for the Tips and Tools posts! 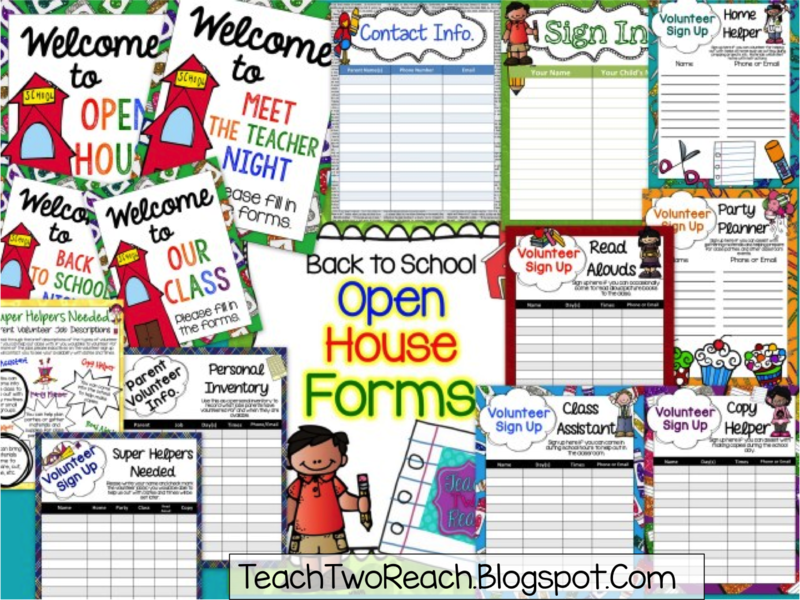 Open House/Back to School Night/Meet the Teacher Night- whatever you want to call it, is an exciting time. You get to meet your students and their families. It can also be a hectic time, trying to talk to everyone at once, answering questions, remembering faces, and getting supplies and information organized. 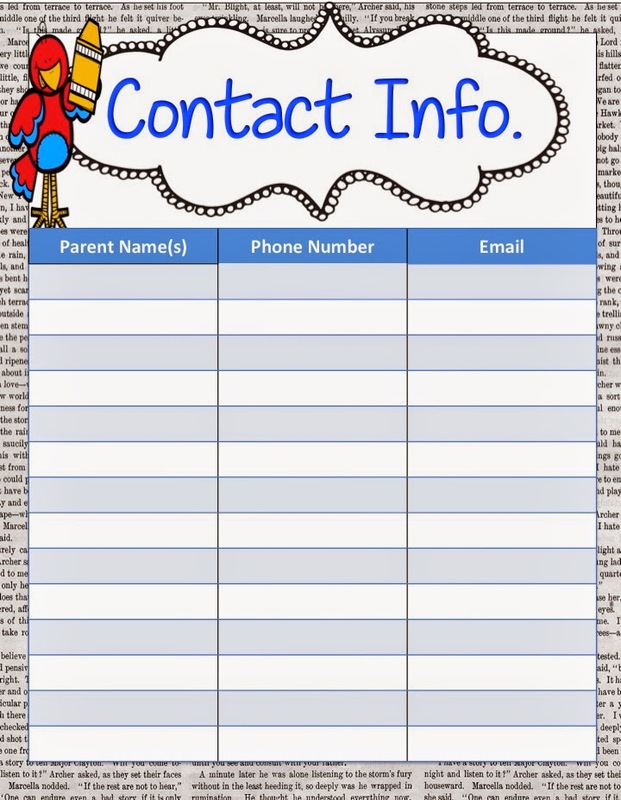 So if you have a bunch of parents coming in all at once, why not keep them busy AND get information out of them at the same time? 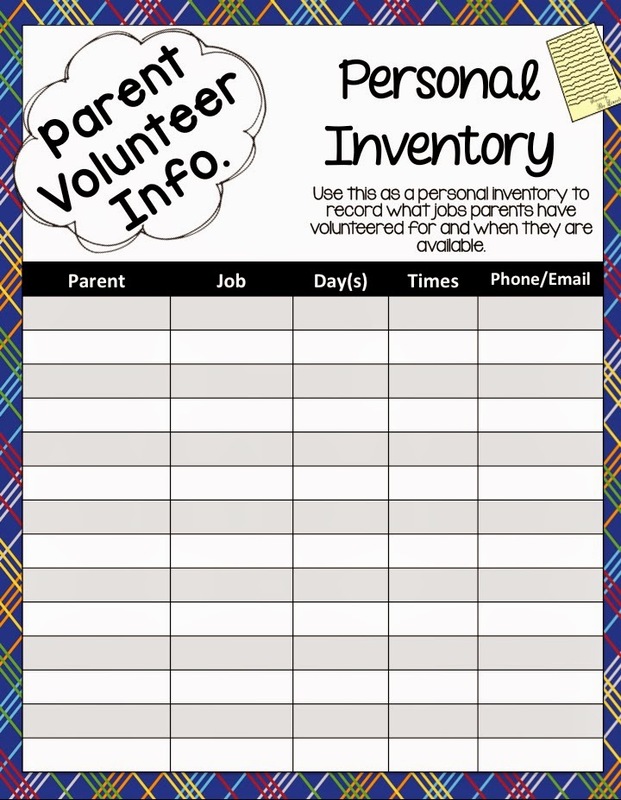 My tip for you is to have forms set up for parents to fill in right when they walk in the door or as they are mingling while you are talking to others. 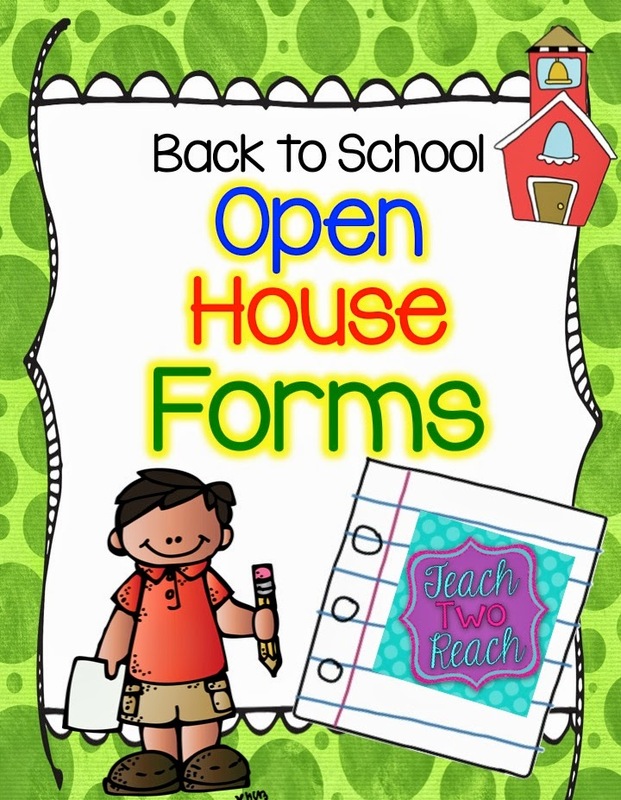 I've created this Back to School Open House Forms freebie. Inside you will find a bunch of forms! Depending on what you call your back to school night, I have made four different posters to hang near where you will put the other signs. 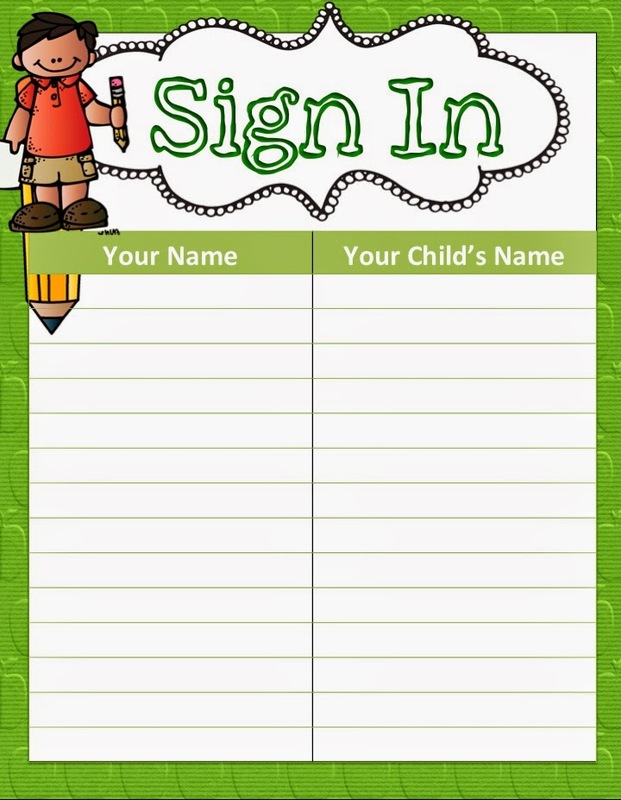 The poster welcomes the parents and tells them to sign the other forms. I actually printed this sign in Adobe in poster size settings. I set the size to 150 percent and it came out on four different pages. Then I cut them apart, put them together with construction paper as backing so I could arrange them properly, and cut away the construction paper so you can't see it around the sides. 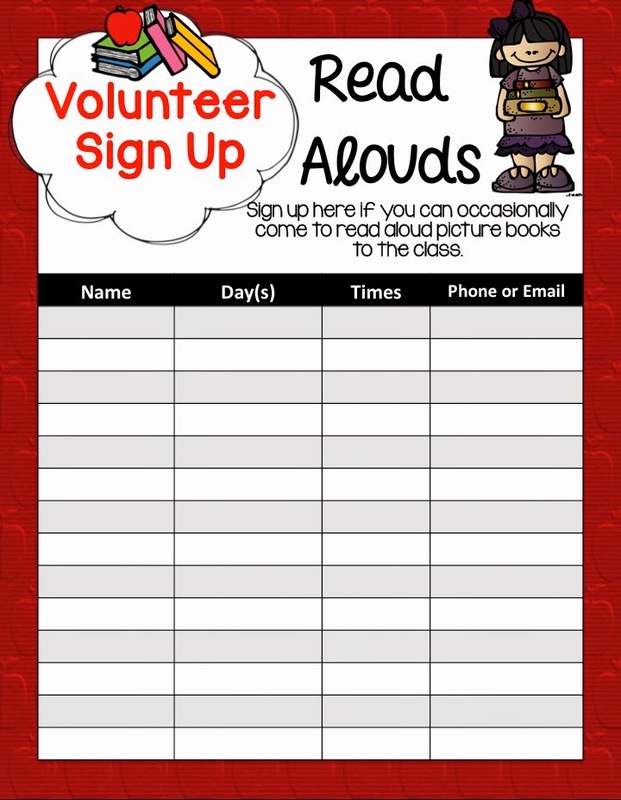 There is a sign in sheet as well as a parent contact information sheet. 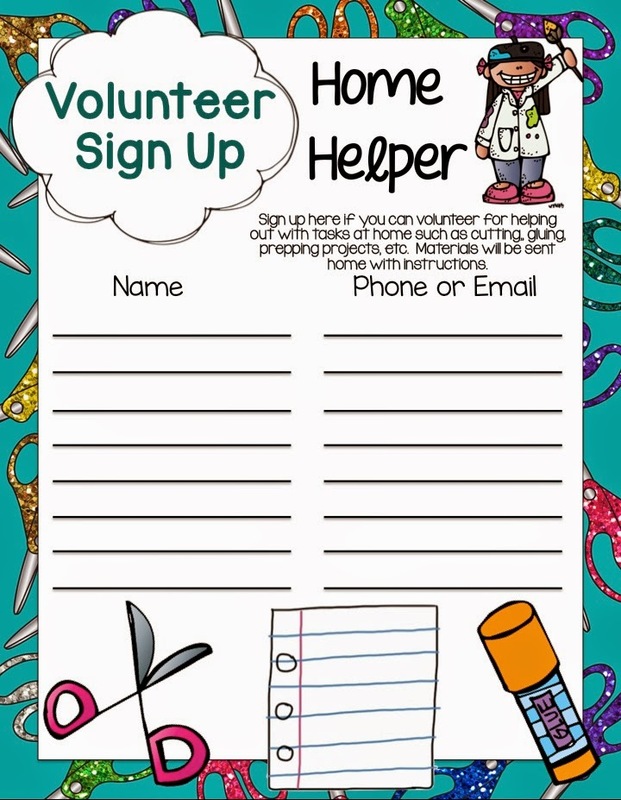 And then there are two options for parent volunteer forms. 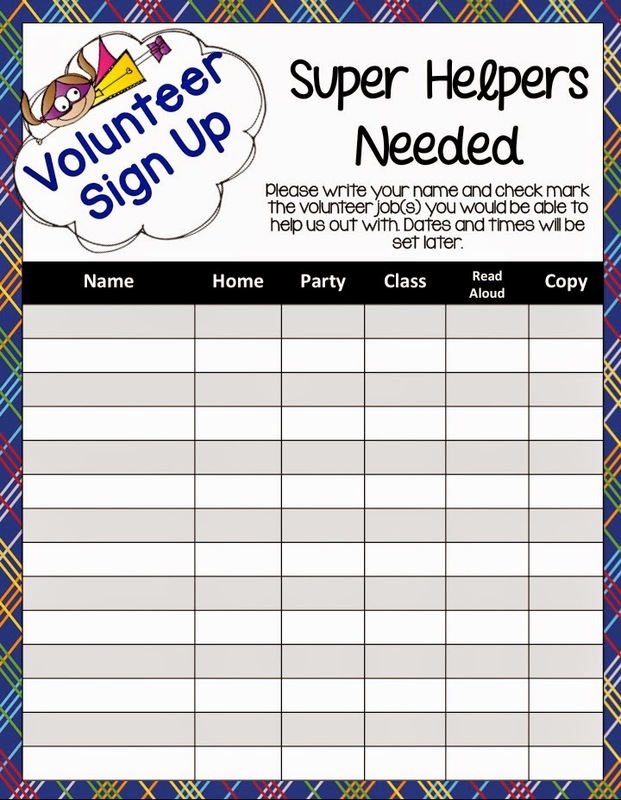 One option is that you lay out individual volunteer job sheets and parents can pick and choose what they want to fill in. 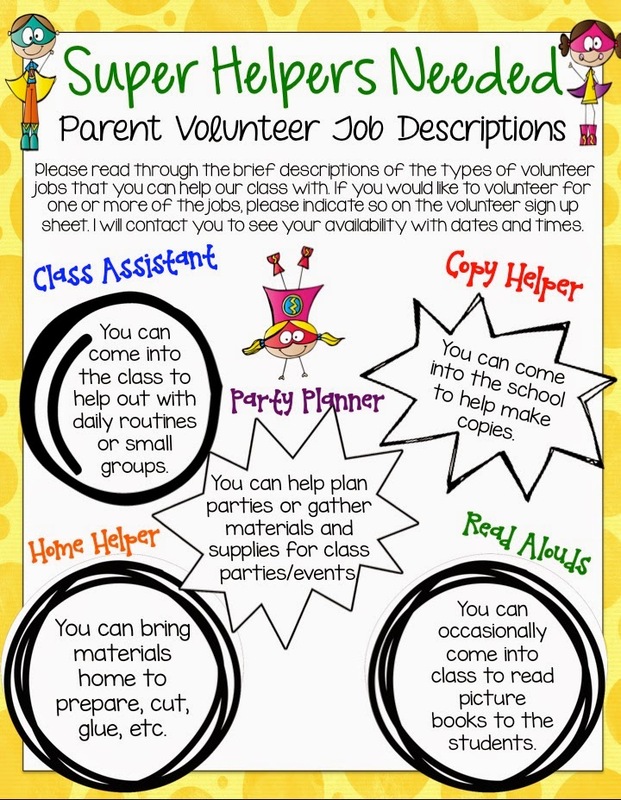 The jobs are for classroom assistant, copy helper, home helper, read aloud volunteer, and party/event helper. The other option is if you don't have space to put out all the forms and you want just a check mark sheet, you can put the following two forms out and have parents check mark what they can help with. Later, you can contact them and create a master list for yourself (also provided), that will help you remember what days and times they are available. I hope you LOVE these forms as much as I loved creating them!! Click HERE to take you to the product. Ok wait don't leave yet. Since you're here, you mayyy just want to check out this giveaway below. 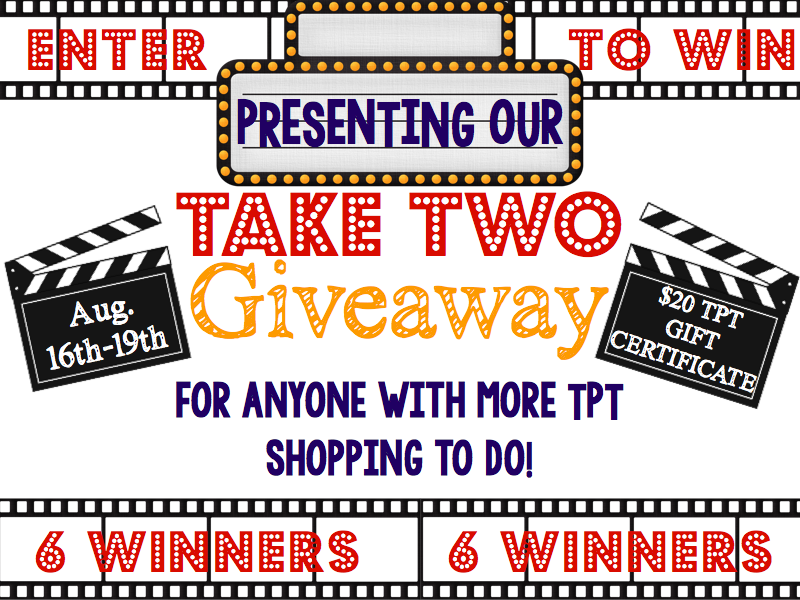 You can win one of SIX $20 gift certificates to TpT. And you're going to want to do that because a one day sight wide sale is coming up Wednesday!! Enter below.